The audio and video experiences are changing constantly with the application of newer technologies. And the latest addition in this regard is of course VR videos. We have so far heard the word audio headset now we have the option of video headset. Yes, you may be or may not be quite familiar with the names like The Oculus VR, Samsung Gear VR and Google Cardboard headsets. The demand of such headsets is increasing and so is the demand of 360 VR movies and videos. 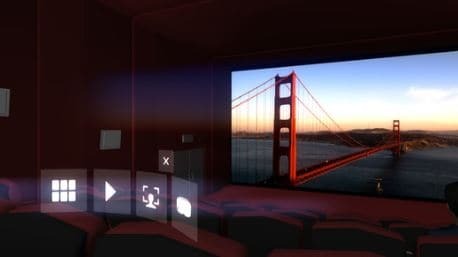 Now, the important question is which video players support VR movies in the iPhone platform. 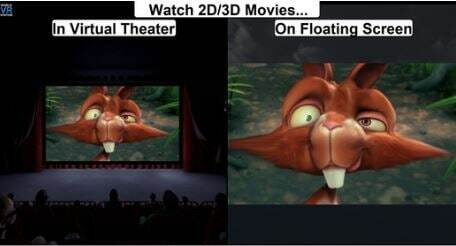 In order to enjoy VR movies or videos, you got to have the right video player. So, here we will talk about the top 5 VR video player for your iPhone to let you enjoy the best. Homido is a VR headset maker and they have their VR Video player as well for the iPhone users. This is really is a cool app to enjoy the thrill and excitement of watching 360 VR videos. The best part of this player is its inbuilt video player and also the SBS browser. So, this allows you to browse the internet from your video headset and watch movies and videos from Youtube, Vimeo in 3D mode on your iPhone. If you want to enjoy movies inside Homido, you can do that easily by copying the item to the Homido folder. This app is available from iTunes Store. Mobile VR station is another very popular VR video app that is considered as much better than Homido by many. There are reasons behind that as well. There are more features in this app than Homido. The best part of this player is that alongside watching 3D side by side videos, users can enjoy their normal 2D videos as well. Even with 2D mode, it offers a great experience. The head tracking experience is also quite good and it creates a theatre experience. Users can download the app from iTunes store. We all know that Carl Zeiss is one of the world’s best lens makers and now they have come up with the VR Headset and Carl Zeiss VR One Cinema app. Unlike other VR apps, the best part of this one is that it supports almost all VR headsets like Google cardboard, FreeFly VR, Agnus VR on iPhones and anybody can enjoy the theatre like experience through this app. As for the user interface, this is perhaps the friendliest app of all these three apps. But there is a downside to this. This app downscale the videos during the streaming. However, the overall experience is pretty good no doubt! 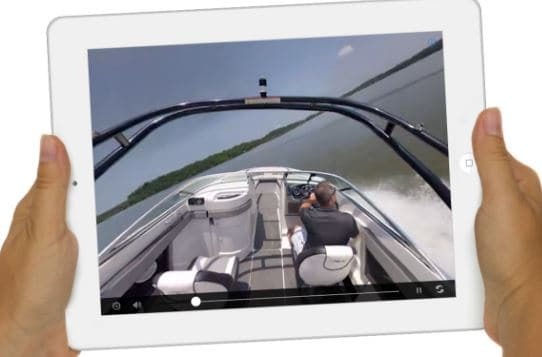 Another very good and popular 360 degree video player is in360Tube . In terms of popularity, it may not come close to its competitors but the user rating is good of this app. And the best part is it is playable on both Android and iPhones. Users can enjoy 360 videos from Youtube on their iPhones, iPads, Samsung phones etc. There are four ways that basically control your watching experience. This app is compatible with various VR headsets and those are Google Cardboard, Durovis Dive, DODOCase and Samsung Gear VR and many more. Users can download the app from iTunes store. In the end of the last year, 360 VR Video app was launched and since then, it has become extremely popular among VR videos users. Through this app, users will be able to enjoy Youtube videos like never before. 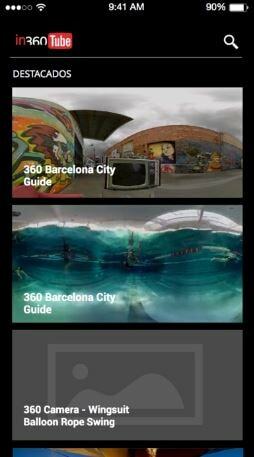 Now you can see the videos with augmented reality. While most of the other players allows you to see only a small part of the video in 360 degree, this app on the other hand allows you to zoom in/out to see a full 180 degree image. While watching videos with Google Cardboard, you can tilt your head to move the video and can also drag and rotate the video if you don’t like to move your head. So, here is the list of top 5 VR video players for your iPhone. Go to iTunes Store and download the most compatible video and experience the new way of watching videos.